IMAGE: These are Candid albicans hyphae cells in neutrophil extracellular trap. The most frequent fungal threat to humans, Candida albicans, is a common cause oral and genital infection. The fungal infections are often worsened by overwhelming inflammatory responses in the body and cause high mortality among risk groups. Umeå University doctoral student Ava Hosseinzadeh has discovered two novel anti-inflammatory agents, an antioxidant and an anti-inflammatory molecule, which could be used to control the hyper-inflammatory responses to the fungal infection. One of the most common fungi and a growing health concern for people with compromised immune systems, Candida albicans, has the ability to grow as either a circular or a filamentous form. The latter is more virulent and invasive. In the body, neutrophils, which are an abundant cell type among white blood cells, have evolved several strategies to combat these two different forms of the fungi. Neutrophils track and uptake the fungi or secrete antimicrobials which kills them. In addition, neutrophils can also respond by releasing web-like structures composed of DNA backbone and decorated with antimicrobial proteins. 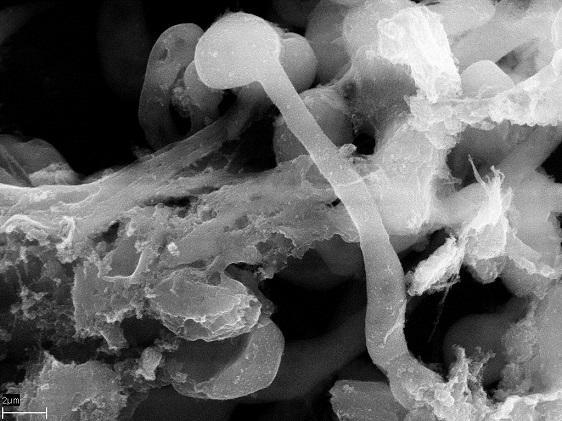 The so-called neutrophil extracellular trap (NET) has the ability to trap and kill fungi. However, uncontrolled NET release contributes to tissue damage and is also associated with inflammatory diseases such as systemic lupus erythematosus and atherosclerosis. "I found two novel anti-inflammatory agents that can be used to control unwanted inflammatory responses from uncontrolled release of NETs," says Ava Hosseinzadeh, a doctoral student at the Department of Molecular Biology. "These anti-inflammatory agents will likely have an implication on future efforts to develop therapies for inflammatory related diseases due to Candida albicans infections. An effective treatment for inflammatory complications associated with the fungal infection could save the lives of people who for different reasons have a compromised immune system." The complexity of inflammatory responses towards the two distinct forms of Candida albicans has long been a major bottle neck in efforts to understand the interactions between the human body and the fungal infection. Ava Hosseinzadeh, who is part of the research group of Constantin F Urban at the Department of Molecular Biology, developed a dynamic method to compare the circular and filamentous forms in order to accurately study NET-mediated inflammatory responses. The method led to the discovery of the anti-inflammatory agents.